Brandless offers better-for-you quality food, home, and personal care products at more affordable, accessible prices. (Most prices I’ve seen range from $1.50-$15.) By building direct relationships with their suppliers, Brandless eliminates extra costs and markups, which means members can get high-quality items for less. If you’ve been as curious as I have about this company, keep reading for my Brandless review. The Products: Choose from over 350 home, pet, food, beauty and personal care, wellness, and baby products at low costs. Ships to: Contiguous United States for a $6.95 flat rate for all orders. Orders over $48 ship free. Good to Know: For each online purchase on brandless.com, Brandless will donate the monetary equivalent of one meal to Feeding America. Is Brandless a Subscription or What? Many of their products can be “subscribed” to and auto-shipped on a schedule that you choose (ranging from every 2-8 weeks). While an item like this muffin pan isn’t offered as a subscription, useful items like diapers and supplements are. The best part is that you’ll get a “surprise” free gift with every subscription PLUS Brandless will donate TWO additional meals to Feeding America. There are also no monthly or yearly membership fees with your Brandless account. Need some extra place settings for a dinner party but already have some beef jerky shipping in a few days? You can add those non-subscription items to your already scheduled delivery whenever you like. Simply add it to your cart and select “ship with my next subscription box”. Alternately, you can order whatever you need and have it shipped immediately, independent of your subscriptions if needed. 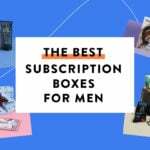 Check out our list of best personal care subscription boxes here to find other companies with a similar model. I also wanted to explore a mix of higher and lower price points. A good portion of Brandless products hover around $3.00, but I saw that they offer items for as low as $1.50 (for example, their organic ketchup) and as high as $15.00 (for example, this herbal cleanse kit). Brandless also features bundles that include several related items in a given category. The sheer volume and range of what Brandless offers was almost overwhelming to me at first, but I decided to choose items that I was genuinely interested in trying, which helped. Read on to see what I got in my first order with free shipping! I found an envelope at the top of my box as soon as I opened it. Inside: lots of stickers! Which I have to admit got me a little excited. On the front of this card is their main credo. On the back, they go more in-depth about why and how they do what they do. Below the cardboard, I found my items neatly divided while any liquids were packaged in a bag to prevent possible spillage. This item is available for subscription. Subscribers get a free gift (which can vary) if they hit that $48.00 threshold. In my shopping cart, I was prompted to add a coupon code to redeem their refillable multi-surface cleaner once I added enough to my order. I wasn’t able to choose the scent, but “Summer Breeze” sounded pretty nice. Here’s how their multi-surface cleaner works: The whopping 32 oz. bottle comes with a cleaner pack already inside. All you have to do is fill the bottle with water, wait 1 minute for the pack to dissolve, then shake the bottle vigorously to mix it up. The spray that comes out of this baby is a dream—a nice fine mist that coats the countertops of my kitchen very well without too much product. The Summer Breeze scent is pretty delicate and uplifting. Plus, I get to sing “Summer breeeeeeeeze makes me feel fiiiiiine! Blowin’ through the jasmine in my miiiiiiind! (berrr berr berr berr ber ber)” every time I clean. It’s pretty wonderful. When I run low on this (which I calculate to be in about 6 months based on how long it takes me to get through other cleaners), I’ll just need to reorder more packs (I can get 2 for $4.00) and can reuse the bottle. I’ve been really wanting to start making smoothies or shakes with protein powder, but the idea of a fruity or chocolatey powder honestly weirds me out. I thought I’d start with this unflavored (and unsweetened) plant-based version. DO I KNOW HOW TO PARTY OR WHAT?! In addition to being made with organic brown rice, pea, pumpkin seed, hemp seed, and chia seed proteins, it also happens to be vegan, gluten-free and contains 20g of protein per scoop. Speaking of, I’m glad they included a scoop so I know exactly how much a serving is. I popped the suggested 1-scoop-per-8-ounces-of-beverage into a smoothie and compared the taste to the smoothie pre-protein. Perhaps I am too inexperienced with protein powders, but unflavored certainly doesn’t mean I can’t taste it. I’m not really a fan of the powdery addition to my smoothie even though I realize it’s probably the easiest way to get extra protein into my body. It just sort of has a blah flavor that takes away from the yummy fruit. Now I understand why people go with flavored versions! As far as value goes, $9.00 seems pretty decent for this 6.4 oz container (about $1.41/ounce) when comparing it to similar products that can be up to $2.60/ounce. Of course with protein powders, the more you buy, the cheaper it gets. But if you’re unsure about diving into a 5 lb container of pea protein, this is a more manageable size to try. I am a matcha FREAK, so adding this pouch of green tea powder to my order was an easy decision. It’s unsweetened as well, which is my preference—that way, I can control how sweet I make it. I add a tablespoon of this to a 16 oz. glass of milk and do a vigorous stir (or shake) to make myself a little latte (and add sweetener if I’m feeling it). This powder dissolves a lot more easily in warmer liquid, but can be added to water for more of a plain tea, or even a smoothie to get that tasty matcha flavor. Now that the weather is starting to get a little warmer, I’ve been switching from hot morning coffee to cold brew. This single-use brew bag makes 6 servings of iced coffee that can be brewed simply by submerging the bag into 42 ounces of water and letting it steep in the fridge or on the counter for 24 hours. I love having a pitcher of this ready and waiting in my fridge, so I can just pour it over ice in a tumbler and head to work in the morning. My only qualm is that I wish they offered a lighter roast because this dark roast is not 100% my taste. My quick fix—add a little sweetened condensed milk to the mix make it VERY drinkable! The coffee itself is certified Fair Trade from Peru as well as organic, so it’s great quality and ensures that I’m purchasing an ethically sourced product! Ever since visiting my BFF in San Francisco earlier this year, I’ve been craving the almond-butter-and-bananas toast we made for breakfast at her house. I love that Brandless’s almond butter comes in a pouch, which makes it super easy to squeeze onto apples (or straight into my mouth). It has a great creamy texture and taste and is made with responsibly sourced palm oil and pink Himalayan sea salt. This would be a great travel companion for camping or hiking outings. This pouch ends up being about $0.83/ounce, which is a little more than a similar product I found at $0.70/ounce. Of course, like the protein powder, the price is always cheaper with a larger size. I think I could actually do with a larger pouch, to be honest. Okay, so this spoon is the #1 item that piqued my interest in Brandless. It has a very simple design, and I just love the way the gray silicone contrasts the Acacia wood handle. The quality seems really nice and solid, so I’m thinking I’ll have this around for a while. I like the size of this spoon (it’s 12.5 inches long), and the fact that its silicone means it will be gentle on my pots and nonstick pans. Brandless makes other matching utensils, so if I want more I can eventually collect a set. It’s good to note that this (or any wooden utensil) shouldn’t be put into the dishwasher. Since I don’t own a dishwasher, this is fine by me. When comparing to a similar item I found at Target, this one is 20% cheaper (probably since it isn’t branded with a celebrity’s name). I haven’t bought a knife in quite some time, but since I have been doing much more cooking with meal kits, I figured I was due for a new one. My roommate is the real knife pro—he actually works in a prep kitchen—so I asked him his opinion. While he didn’t expect some high-end quality, he said that it has a good weight to it and that it did a great job for the price point. I was drawn to the indents on the side, which ensure that sliced veggies don’t stick to the blade. I’m pretty happy with this item. Similar knives range from $4.99-$14.99, but it’s hard to say exactly how those perform. I’m pretty confident that $6.00 for this one is a solid price. Can you ever really have enough shave gel? This tube is really quite a bit larger than ones I’m used to, which means it should last me quite a while. The consistency isn’t as thick as I’d expected, and it felt really similar to the aloe gel that you’d put on a sunburn. It’s made with green tea and aloe, but is virtually fragrance-free—an upside if you’re sensitive to scents. (“Scentsitive”, let’s say…) Anyhow, this formula certainly made my legs nice ‘n’ slick for my razor, so I’d certainly buy this again for the price and size. How about a makeup brush! Why not? This one is vegan, which means it’s made with synthetic brush hairs. I’m not very picky about my makeup brushes, and I’m always a little shocked how expensive brushes can be. The fact that this one does a fine job applying powder to my face for $4.00 is quite a delight. It’s also made with a responsibly sourced wood handle if you’re concerned about where your materials come from. And this brush is still at least $10 cheaper than even some of the cheaper Sephora or Ulta branded brushes. I always like to have a nice-smelling liquid soap on hand in my bathroom and kitchen, so I thought I’d give this eucalyptus and lavender version a whirl. The bottle is a decent size, if slightly smaller than the Mrs. Meyer’s soap I currently use (which I get in a 12.5 oz bottle). This scent is pretty strong, which I like, but I could see some people thinking it’s a little too powerful. It’s also made with Hawaiian white ginger root extract and is cruelty-free, sulfate-free, and absent of dyes. Like the shave gel, the consistency is a little thinner than I’m used to, but it doesn’t seem to make a difference in getting my hands clean. You know I had to go ahead and get my little cat sons some toys! I think it’s great that Brandless hasn’t forgotten the most important beings in our lives: pets. Cat toys can be pricey when you’re shopping at a pet superstore, so getting 2 rattle balls wrapped with “natural fibers of sisal & seagrass” for $3.00 seems like a good deal (compared to this similar toy that is $3.49 for one). I thought my cat Gregg would be the only one to play with these, but my other boy Kit, who normally doesn’t mess with toys, went a little wild for of these balls as soon as I dumped them out of the package. I’ll say these are a win for my furry children. I found quite a few products in Brandless‘ huge catalog that I was excited to try, met my expectations, and that I would order again. The prices seem to be pretty great overall when compared to brands I can find at my local stores, especially when so many of their items are fair trade, cruelty-free, organic, etc. They have such a variety of items, and it’s nice to be able to get so many daily-use products from one place, especially when many of them can be subscribed to for auto-ship. That could be especially helpful in busy households—imagine having tissues, soap, and food delivered to your door without having to even think about it! Can you still get this box if you sign up today? You may not need the same things that I do, but you can customize your order from 350+ items anytime with many of them having an option to subscribe! Value Breakdown: For $49.80 ($48.00 + $1.80 tax) I got 11 products which give each one an average price of $4.53. Find more personal care companies that offer a similar subscription model here! Have you tried Brandless? What do you think? How do subscribers rate Brandless? Do you subscribe to Brandless? Add your rating now! Great review Marne! Your little jokes always crack me up 😁. I’ve seen Brandless before, but now I’m interested!! And thanks to all the ladies commenting, you always fill in the blanks that reviews leave out. Marne, try 1/2 scoop of protein powder or else add more water/juice/almond milk. Actually 20g of protein is a lot, anyway. I use vega (pea) protein powder and a whole scoop is too much for me, too if I am only making 8 oz. Thanks, Colleen! I’ll try that! I’ve been ordering from Brandless for a couple years and honestly can say we can’t live without some of their products! Some of my staples are the almond butter, maple syrup (we just went up from $3 to $4 😕), the peanut butter powder, applesauce pouches & their parchment paper. Here’s a handy hack, if you don’t want to pay $48 to get the free shipping: sign up for their subscription service! No minimum limit AND you get their free gift! Plus, you can go in and change what you need each month OR move your shipment date back indefinitely (if you don’t need items each month). They just started their sub box in january & I fully expect these corner-cutting hacks to be figured out and changed eventually. They have the best 🦒🐘 🐻 crackers!! I really enjoy brandless, but the recent price hikes have left a bad taste in my mouth. ALL the kitchen utensils used to be $3.00, now some have doubled in price. Too much of an increase, imo. I paid for the annual shipping but I don’t think I’ll be subscribing again once it’s over this summer. Last time I ordered from Brandless was about a year ago. They had quite a lot of products and had just come out with the kitchen utensils. Everything was 3 bucks, so it looks like with their product expansion, they’ve upped their prices, even on things that were previously $3. And their free shipping threshold was much lower, I think $30. Oooh, thanks for the suggestion, Amber! I need to make pancakes at home more and will have to try theirs! <3 brandless. the salad dressings are great, so are the snacks. agree on the trader joe's comparison. I’ve ordered from Brandless many times. I love their concept. Their have grown quickly in the amount of products they offer. I think there prices and quality are similar to Trader Joe’s brand and prices. If you don’t live near a Trader Joe’s, Brandless’ prices on organic products are way cheaper than Whole Foods or other grocery stores. But if you live near a Trader Joe’s, you probably aren’t saving money. Just convenience if you want to have products shipped to you. I just placed my second order. The ramen bowls are huge! Beware the lemon bars desert mix: pure sugar. And the mayo wasn’t sealed correctly. But CS was great. Love hearing your product feedback and thanks for chiming in about customer care. That’s an important part that we don’t always get to test out! Thanks. Never heard of this place but interested to check it out.